Writing services are companies that produce content for clients and assist in all aspects of content creation including planning, creating, editing and publishing. To rank highly in search engines, gain brand awareness and provide relevant information for clients, today’s businesses need to publish original content frequently. They constantly need unique content for their blog, newsletters, email marketing and web landing pages. Professional writing services create search engine optimized, custom content that bring the publisher more traffic, more readers and more sales. Planning: Good content requires a content strategy. It is important to define the target audience, style, tone, frequency of publication and distribution channels. 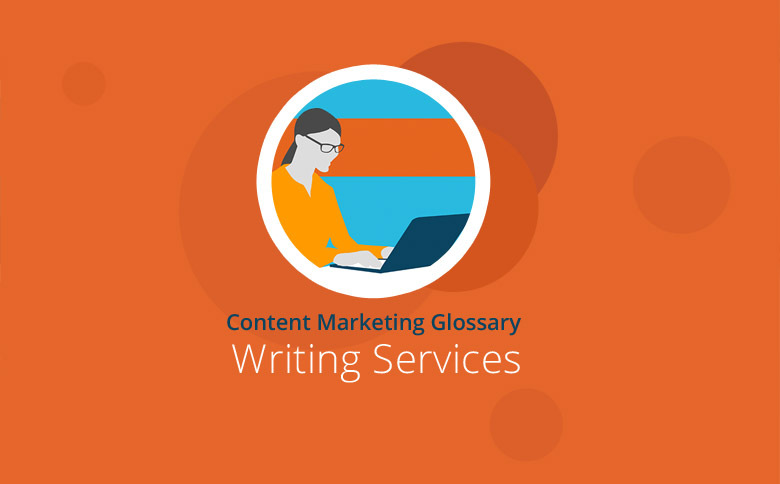 Writing services can provide guidance on developing an effective content strategy. Creation: When companies outsource content creation to writing services, it is crucial that they provide detailed instruction for the authors. It should include information about the intended readers, style, tone and where it is going to be published. The instructions should also inform the author of any keywords that should go into the document and where they should appear in the document. Once the author has the instructions, he or she creates the content based on the requirements. Editors review the content for grammatical or spelling errors, readability and whether or not it fulfills the instructions. Finally, the customer should review and provide feedback to the writing service about the content. Publication: The publication of the content should be carefully planned and well timed. Finding the right target audience and providing them with the right message will contribute significantly to the reach and success of the content. Companies need to decide when and where to publish their content for maximum effectiveness. Some writing services integrate directly with their clients’ content management systems so authors can publish content immediately. Blog or news article: Blog posts and news articles are good marketing tools because they can provide information that is relevant and interesting to readers. They are not advertising products but educating consumers. Since they contain keywords, they show up in search results when consumers search for information. Those blog posts are hosted on company websites and can attract new clients. Press releases:Press releases are content that is written in a specific format for newswires. They are designed to reach journalists or bloggers who are looking for news to write about and distribute to their audience. Product Description: Product descriptions are content pieces that describe individual products. They accompany images of products that are for sale on the Internet. When they contain keywords, they show up in search results and have a better chance of attracting customers. Landing Pages: Landing pages are Web pages that people click to from an advertisement or other Internet posting. They contain content that is designed to capture lead information or convert a visitor to a sale. Search engine optimization (SEO) is an important part of creating good content. Optimized content includes keywords so that search engines can find the content. It is important to test the placement and frequency of keywords to achieve the greatest SEO benefit. Agencies: Digital, PR and Advertising agencies offer content writing services. They can assist in writing ad copy, website pages, landing pages and press releases. They have professional writers who create high-quality content, images, videos and other content campaigns. Finding the right agency can be time consuming and expensive, but a good agency can be a permanent solution for content production. Freelancer:Freelance authors are efficient, easy to find and have a variety of skill levels. The quality of the content depends on the writer, but generally this is the most affordable outsourcing solution. For freelance writers, it is essential to provide detailed instructions on the content and provide them with feedback to get the best results. Content Marketplace: A content marketplace is a network of freelance authors who are part of an exchange between the writer and the company that needs content. The marketplace connects authors with projects and clients pay directly through the exchange. It makes it easy for companies to find the right authors with the right level of quality and subject matter expertise. They also keep costs low and quality high since they have professional editors on staff who constantly monitor the content and publish content quickly. Writing services can help companies expand their content strategy and reach their content marketing goals. They allow companies to create more content and rely on professional writers to deliver SEO value and interesting, relevant content to their customers.